Tech Tools HS-8038 Desktop Madness Series - Hand Cell Phone Holder. 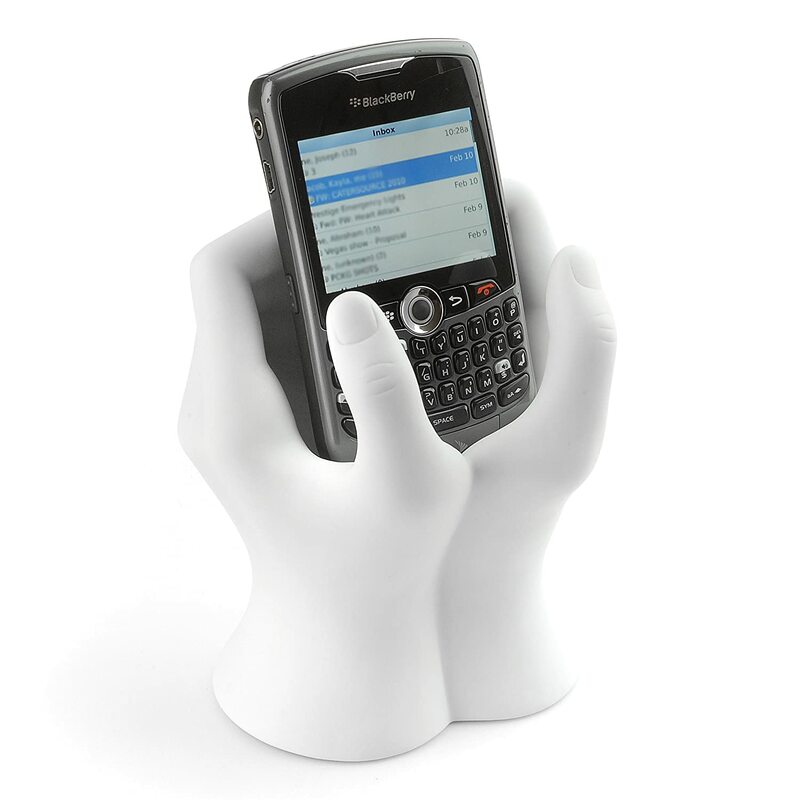 Lighten up your desktop with our new Hand Cell Phone Holder. Holds all electronic devices including iPod's, MP3's, Electronic Games & more. These hands are an ideal paper weight, weighing in at 2.3 lbs. The hands are made of durable material: Plastic/Cement mix (ATBC-PVC).